Todays post is something for classic car fans who love challenges. 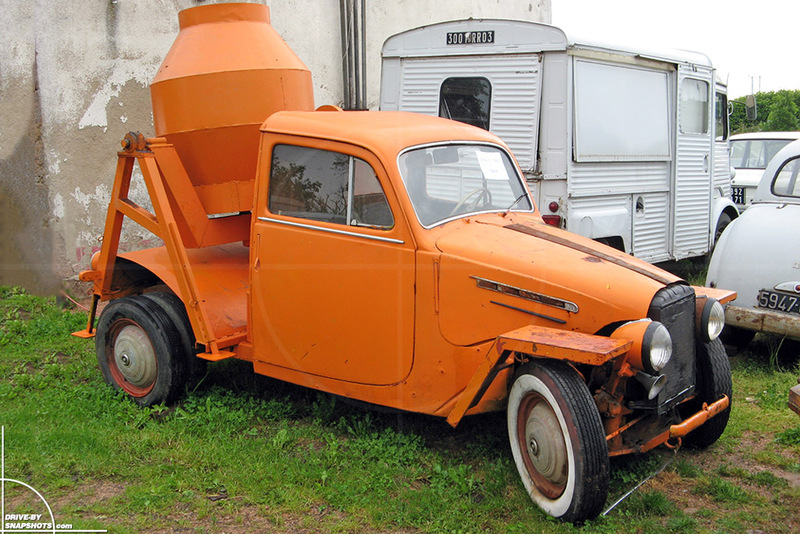 I found this French hot rod with a mock-up concrete mixer on the back in rural France back in 2007. Ever since then, I’ve been wondering what the hell this is actually based on. The for sale sign in the windshield says 1955 Simca 9, but I wasn’t able to find a picture that even remotely matches the hood and doors. Maybe the sign refers to the chassis? 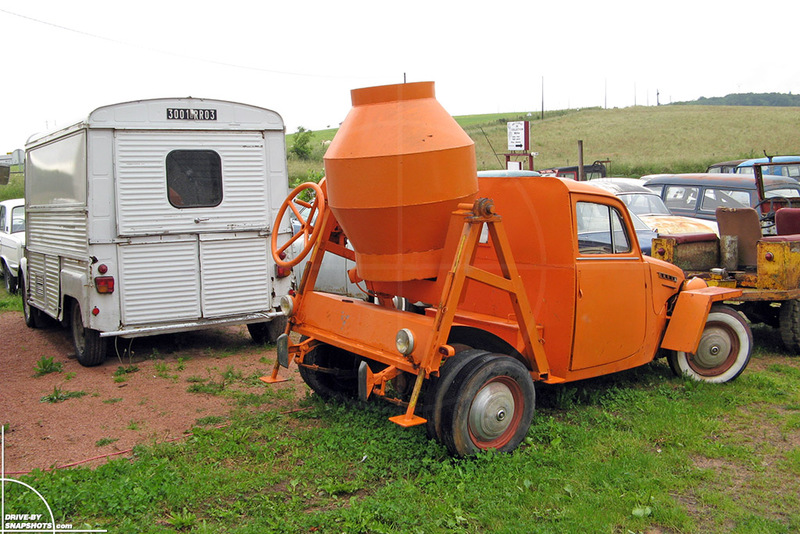 The other vehicles give an indication for the size of the little trucklet. If you have any idea, please let me know and I’ll update this post subsequently. PS: Did you notice the 2CV tail light upgrade on the Citroën HY panel van?